The original, most popular, and still the best. I designed and built the first of these back in 1975, and it's still going strong. I was really getting into traditional Irish and Appalachian fiddle tunes, and needed to play in a variety of keys. Capoing a dulcimer is a quick and easy way to change keys and modes without retuning, as well as having several playing advantages over the traditional modal tunings. Much easier than retuning every time you want to change keys or modes. You can't play everything in D, after all! 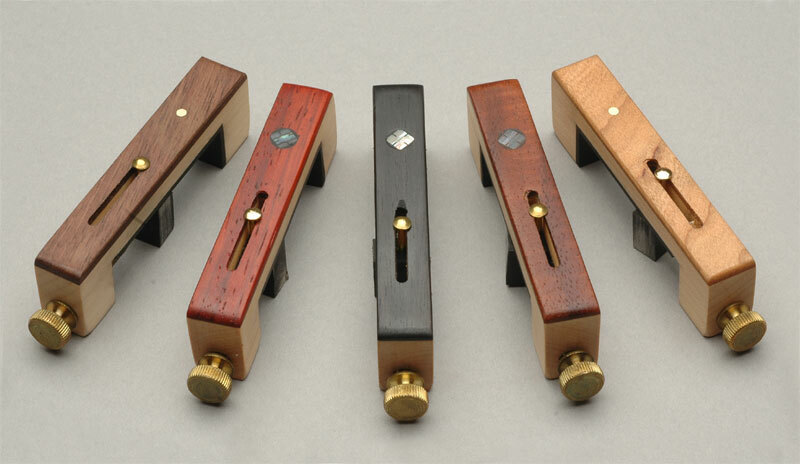 They have a maple body with a walnut or cherry overlay for extra strength, hard rubber padding and clamp block, and a decorative brass dot and thumbscrew. Specify wood and width of fingerboard with order. A standard capo's adjustable range is 1 1/4 to 1 5/8", with custom versions also available for unusually wide or narrow fingerboards. Instructions for use, including a tuning/mode chart, are supplied with the capo. Note - on some dulcimers with high action or uneven frets, the capo will not work properly until these problems have been corrected. Pearl Capos: Featuring a pearl snowflake with various exotic overlays (ebony, rosewood, burled walnut, bloodwood, koa, etc) -- please inquire on current stock. 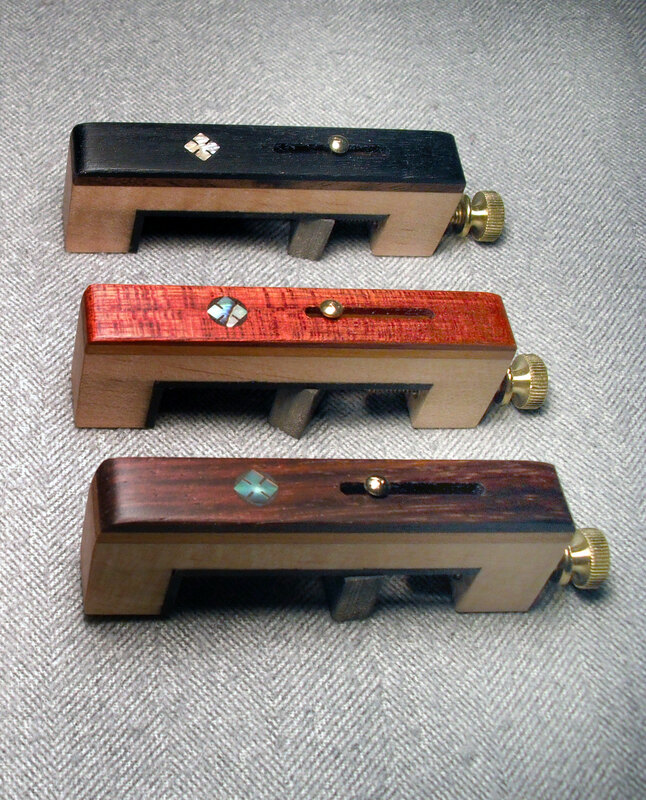 Double Overlay Pearl Capos: An exotic overlay as above, but over walnut or cherry - a little prettier, a little stronger. Please inquire on current stock. 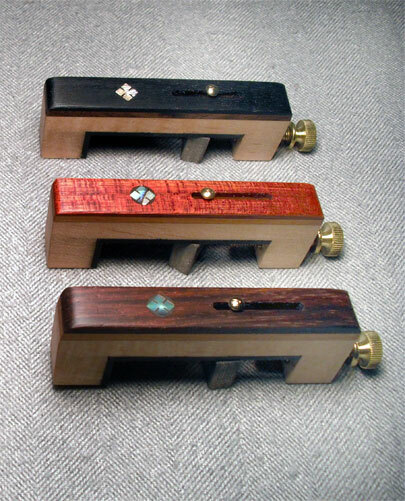 A touch of elegance for your dulcimer. * First Class Mail included in price. For International orders add $12.00. * For Paypal, log into your account, click Send Money, and enter ewing.ron@gmail.com into the TO field, and fill in the proper amount.